Tejaswini Kolhapure is popular name in Marathi films apart from being the model of glam world. She hails from Mumbai, wherein she born and brought up in a typical Maharashtrian family. Her father is a known classical singer and is a cousin of Lata Mangeshkar and Asha Bhosle from his mother’s side. Hence Tajaswini has come from a very strong family background, giving her a good launch pad for her acting career. Her father is from Kolhapur, while her mother comes frm Mangalore. 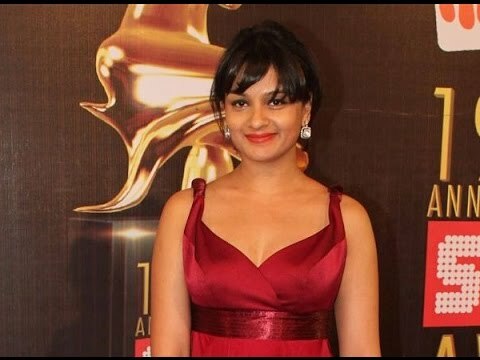 Padmini Kolhapure happens to be her cousin, while she is married to Pankaj Sawaswat a popular filmmaker, actor and writer the same man who has directed the popular show of Star Plus and Star World called The Great Indian Laughter Challenge. Wiki : Tejaswini Kolhapure started her career as a model walking over a number of ramps for different designers. In her 15 years of career, she has walked in more than 200 fashion shows. The designers include Rina Dhaka, Rohit Bal, JJ Vallaya, Tarun Tahilliani, Manish Malhotra and Hemant Trevedi. Apart from walking over the ramps, she was also seen in a number of ads for brands like HMT Watches, Sony TV and Vimal Sarees. Before she started her career with films, she was seen in smaller screens doing her debut with the serial called Mujhe Chaand Chahiye, which was aired by Zee and directed by Satish Kaushik. He later was seen in a couple other serials as well including Tum Bin and Saughat aired in Zee TV and Rishtey respectively. Apart from modelling and TV, she was also involved in Theatre doing a number of plays. Her first play was in 1999 called The Magic Pill, which was directed by Satyadev Dubey, while the others include Brahma Vishnu Mahesh, Modh, Beauty, Brains, & Personality and Flirt in Your Dreams and All About Women. As far as her debut in Bollywood is concerned, it started with Anuraag Kashyap called Paanch, Stop, Anjaane, Mumbai Cutting, Salt & Pepper, Boys Toh Boys Hai, Tequila Nights, Happu, Raavan and now Ugly.